When raw intellect is needed, we call upon Wright the Raven. Tricky vocabulary? Check. Gentlemanly insults? Check. Cultured? Well, as much as we can make him. He is still a Raven, after all. Astute readers may have picked up on his ladybug friend. We have no idea what that is about. Wright has secrets. Large, brainy secrets. 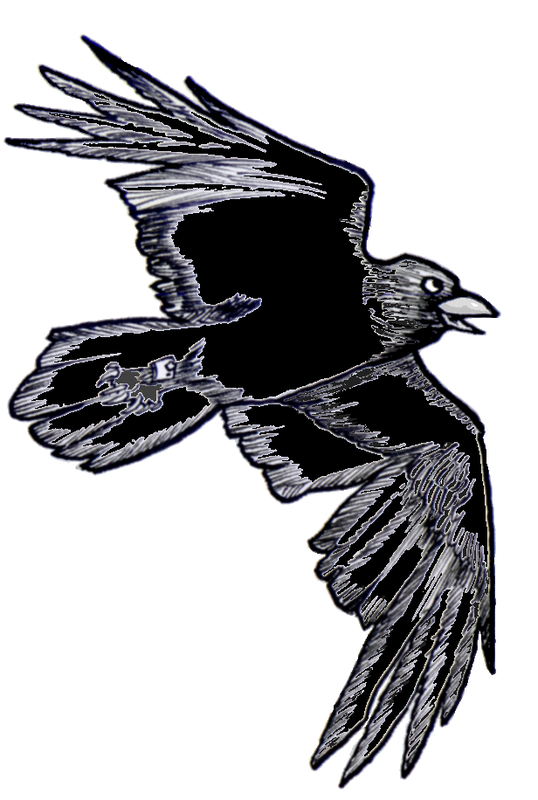 Wright the Raven is named after John C. Wright, Famous Author™. John writes epic science fiction stories, one of which is City Beyond Time, Codex’s favorite science fiction novel of 2015. It was Mr. Wright who originally coined the phrase Tempest in a Teardrop to describe the Sad Puppies III drama. Yes, we did ask permission before, er, borrowing the name. It helps that John and Codex know one another in meatspace. In fact, they have done role-playing games together! I guess I really do hate WordPress. Once again you went to spam, very wierd. Sorry about that mobiuswolf! I think the first comment by a viewer has to be approved for each blogger. Mine should come through fine from now on. Check your settings. Best choice you only have to approve the first comment per commenter. I made a change deep in the bowels of WordPress. Hopefully that will fix things. Now I must shower, the WordPress bilge is not fun, lol.